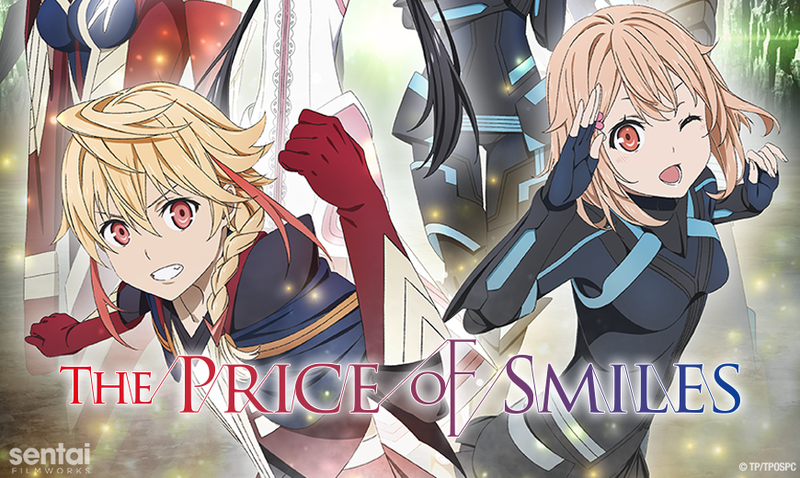 HOUSTON, TX, January 27, 2019 – Sentai Filmworks announced today that it acquired The Price of Smiles for streaming as well as exclusive rights for home video, television, and transactional video on demand. The original series is produced by iconic anime studio, Tatsunoko Production (Speed Racer, Gatchaman) in celebration of their 55th anniversary. Sentai Filmworks will distribute the series in the USA, Canada, UK, Ireland, Latin America, Scandinavia, the Netherlands, Spain and Portugal. On a world far removed from the Earth, there is a certain kingdom that's brimming with smiles. Fate thrusts young Princess Yuki, filled with idealism, joy, and innocence, into a station in life for which her most endearing qualities are ill-matched. Her kingdom faces grave danger as the Empire threatens the realm’s security. Meanwhile, on the opposite side of the conflict, an imperial soldier known as Stella Shining hides behind a facade. However, a time may come where her mask cracks, potentially costing her everything. Princess Yuki and Stella’s paths will cross, and the fate of nations will follow. Toshimasa Suzuki (whose works include Lagrange - The Flower of Rin-ne, Heroic Age) directs the series with Shinichi Inotsume (Hayate the Combat Butler, PERSONA 5 the Animation) in charge of series composition. The Japanese voice cast includes Yumiri Hanamori (Grimoire of Zero, That Time I Got Reincarnated as a Slime) as Princess Yuki Soleil and Saori Hayami (Is It Wrong to Try to Pick Up Girls in a Dungeon?, Land of the Lustrous) as Stella Shining. Other cast members include Rina Sato (Gourmet Girl Graffiti, Knights of Sidonia) as Layla Étoile, Yoshitsugu Matsuoka (Akame ga Kill!, DEVILS’ LINE) as Joshua Ingram, Yuki Nagaku (My First Girlfriend is a Gal, Seiyu’s Life!) as Lily Airhart and Toshiki Masuda (Gakuen Basara: Samurai High School, Hitorijime My Hero) as Huey Malthus. Sentai Filmworks is a leading global supplier of anime and official anime merchandise, distributing, and curating one of the industry’s most diverse libraries of top trending and classic titles. Offering thousands of hours of content across both traditional and digital platforms, Sentai is dedicated to bringing captivating stories and iconic characters directly from Japan. With hit series that include MADE IN ABYSS, Land of the Lustrous, The Big O, and Akame ga Kill!, Sentai’s catalog continues to grow with new favorites like Sword Oratoria: Is it Wrong to Try to Pick Up Girls in a Dungeon? On the Side, Princess Principal, and FLIP FLAPPERS, as well as classic anime series such as Legend of the Galactic Heroes. For more information, visit www.sentaifilmworks.com.